Constructing a dwelling in a living, moving and growing organism is a sensitive undertaking. Our team of skilled builders and climbers are well equipped to undertake this type of work. 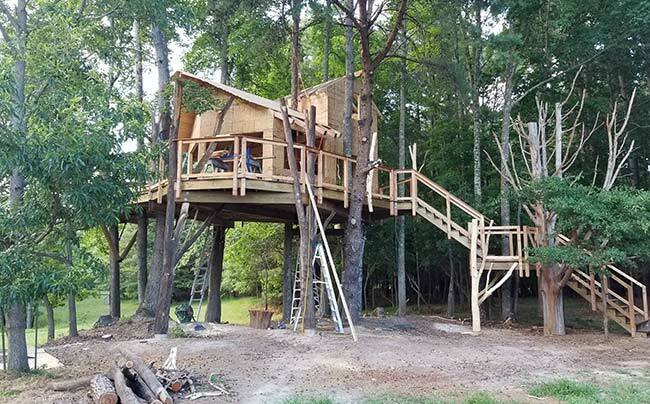 Before we build, environmental, ecological, design and accessibility issues are addressed to ensure the treehouse we build will not harm the trees, will be structurally sound, safe and long lasting. We care about nature and try to be as low impact as we can. 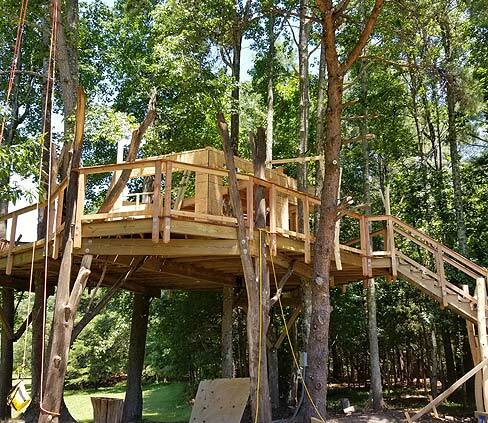 Our treehouse fastening system is the strongest and least invasive system that years of treehouse construction and engineering have been able to develop. 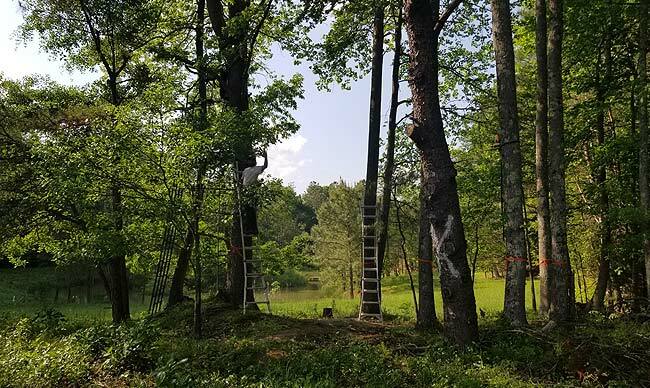 These specially designed tree fasteners are extremely strong and allow the tree to regenerate and grow around the fastener making the connection even stronger. 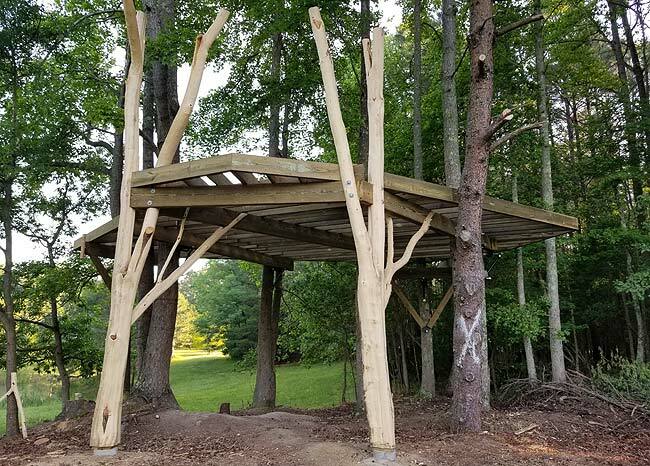 Specially designed brackets and braces stabilize and/or support the platform load and allow the platform to slide and the trees to grow and move with the wind.